Negative SEO – Should You Monitor Your Backlinks? Historically links were often either counted or ignored by Google in their scoring. However, as their algorithms evolved over the past 5 years and more recently with the introduction of Penguin in April 2012 and increase in manual actions, links can certainly hurt your organic visibility. These changes heightened fear around the potential of someone being able to build links specifically to harm a websites organic performance. While there is no doubt that links can harm you, whenever someone brings up negative SEO, I generally find that the overwhelming majority of these claims are actually unfounded and often due to previous link building practices. However, there is no argument that negative SEO is entirely possible, particularly when used against new websites that lack history and trust, smaller link profiles or those with just less reputation. I have seen enough evidence that this can be an issue, although I still believe it’s generally highly unlikely. Google themselves have changed their documentation over time to reflect that negative SEO is not impossible, but it is difficult. We often hear from Google that you shouldn’t focus on ‘links’ and you just need to create ‘great content’. However, they do love a contradiction, particularly when there is an opportunity for propaganda or making up for the inefficiencies in their own algorithms. This is an advanced feature and should only be used with caution. If used incorrectly, this feature can potentially harm your site’s performance in Google’s search results. We recommend that you disavow backlinks only if you believe you have a considerable number of spammy, artificial, or low-quality links pointing to your site, and if you are confident that the links are causing issues for you. In most cases, Google can assess which links to trust without additional guidance, so most normal or typical sites will not need to use this tool. The text clearly states that you should only disavow backlinks if you are ‘confident that the links are causing issues for you’. However, in a Google Webmaster video Matt Cutts has recommended using the disavow tool as a pre-emptive measure, if you have built unnatural links in the past or are worried about links you may consider as ‘negative SEO’. So the messages which come out from Google can be pretty mixed. In our experience I certainly recommend removing and/or disavowing any unnatural links you have built in the past as a pre-emptive measure. But what if you haven’t built any links, ever? Should you have to keep an eye on your links when they can be potentially harmful? I would argue that you shouldn’t have to keep an eye on your own links if you’re doing things the right way, but the reality is, anyone who relies on organic traffic has to monitor new links in today’s world of Google. In the majority of cases Google will ignore obvious attempts of negative SEO, but some cases might be less clear and we have seen Google make big mistakes in the past which has been very worrying. Aside from the negative SEO discussion, mistakes can easily be made either by internal or external parties and best practices should be as clear as possible. If you’ve engaged in link building in the past, you’ll probably have at least some links which now fall outside of guidelines. We recommend regular link auditing where possible to help limit any potential issues in the future, particularly in light of Google’s ever evolving search guidelines. 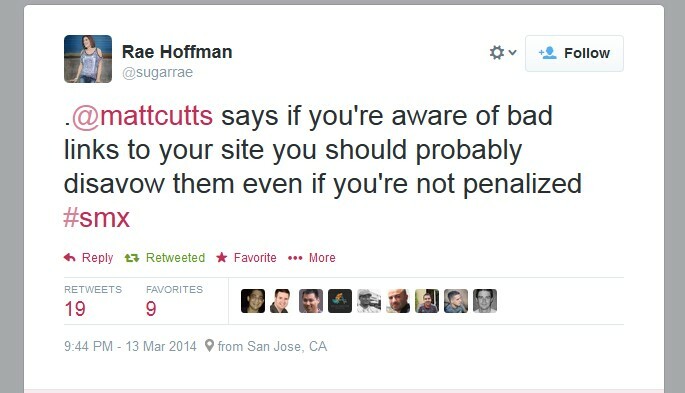 As Matt Cutts recommended, use the disavow tool for any links you’re worried about. Using the disavow tool to combat ‘negative SEO’ is absolutely fine, but do manually audit every link and be 100% sure of what you’re doing. It’s not worthwhile worrying about a few links, but if it’s on a larger scale, then it would be wise to disavow them. Now, I have provided advice from an agency perspective, I am going to contradict my own advice and do the opposite for our own site. We have been *loosely* monitoring some unnatural links being built to our own website since mid-January. While we don’t believe they are a negative SEO attempt, we do believe our website is being used in random spam articles to make them ‘appear more authentic’ with numerous external links. This is something we have seen a lot before and we are in good company, as some of the articles also include Google themselves and moz. A quick look in Google WMT tools shows at least 300+ linking root domains of this type over the last few months which is fairly significant (some to our SEO Spider user guide randomly for example). The problem is, as much as we love auditing links and compiling disavows (! ), Google should be able to work out they are clearly spam and have nothing to do with us. I’d rather not waste our time doing anything about it and other businesses, particularly small businesses with limited resource and expertise, really shouldn’t have to either. This just highlights you can’t always control links and you shouldn’t always be expected to as well. Google of course, should be protecting innocent websites who follow their advice by focusing on creating a great product and experience for their customers rather than links. So we are not going to do anything, as a bit of a test to see whether Google are indeed smart enough to deal with these types of links in the longer-term and just discount them. We are perhaps lucky that we have a fairly authoritative site, don’t rely on organic traffic for business (most come from referrals) and to date haven’t seen any impact at all. I highly doubt whether this would be the case for a smaller company with less trust. Have you experienced negative SEO in the past for you or clients? I’d be interested in hearing about genuine examples. What Should You Do If You Receive a Google Brand Penalty? Dan Sharp is founder & Director of Screaming Frog. 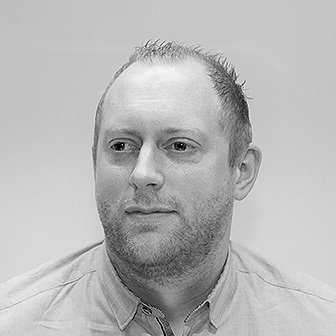 He has developed search strategies for a variety of clients from international brands to small and medium sized businesses and designed and managed the build of the innovative SEO Spider software. 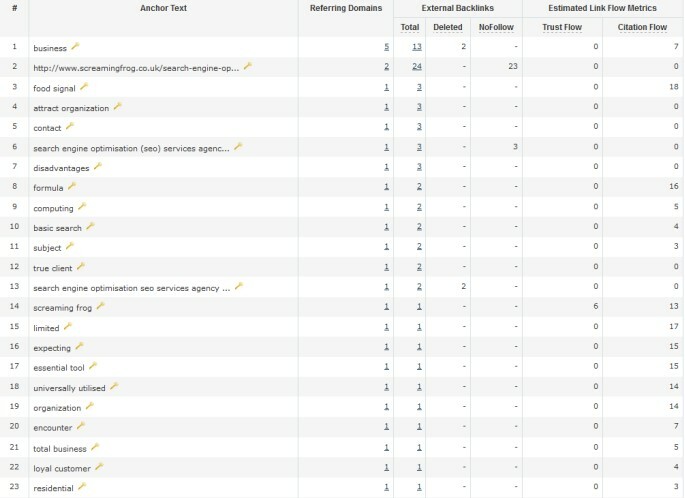 I have an example of not neg seo but spun content really messing up stuff.. It took another 6 reinclusion requests to get approved as the guys stealing my content and spinning it added around 10 blogs a week which in tern add 100’s of spun links. It wasn’t until the spinning stopped and a massive disallow list was submitted did the manual penalty get removed. Sadly the ranking never recovered but penguin hasn’t update since Oct 2013 so who knows if the site will recover. Yes this is a case of manual then algo penalty but the same could happen to the above example you mention dan. Cheers for your thoughts & comment. Agreed there is that possibility. I’d like to think our authority is too high though, the links too poor and as the anchors are not commerical, we’d be above the Penguin threshold. While manual actions are pretty easy to work with, my worry is the experience and assumptions of Googlers who review them. Both intent & responsibility can be really difficult to judge. We have seen quite a few mistakes during reconsiderations now. You’d think your example would be fairly easy for them to work out that your content is being spun & hence the spun links, which is again worrying. It would be very cool to share what app are you using to see this information. It doesnt look like WMT. The above screenshots were from Majestic SEO. 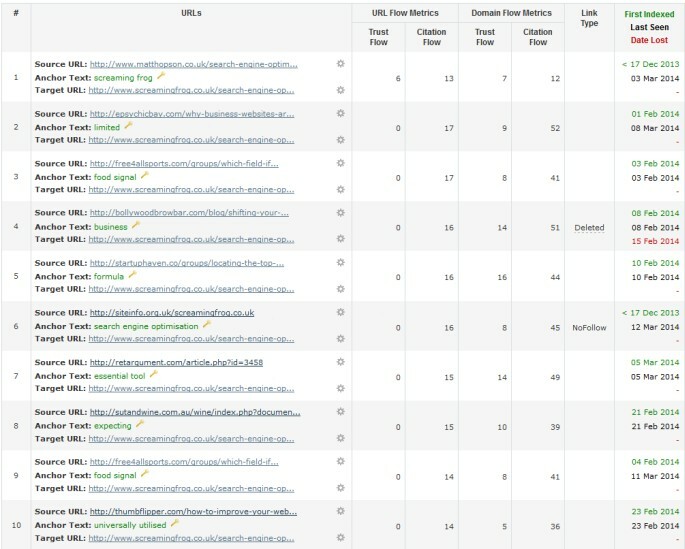 Please tell me how to analyze the backlinks of a blog and find the negative backlinks. What are the characteristics of negative backlinks? Nice article, prevention is always better than cure. I will keep this in mind henceforth I will make sure to have proper record of backlinks and remove bad link whenever required. Majestic SEO yeah is fairly well updated and yes ahref too but do you think we should be using Google WMT to find the backlinks as it is falling way back in being real time about back links.. And wrt Disavow, yes on safeside if you find a link not related and of low metrics, why not be safe to disavow.